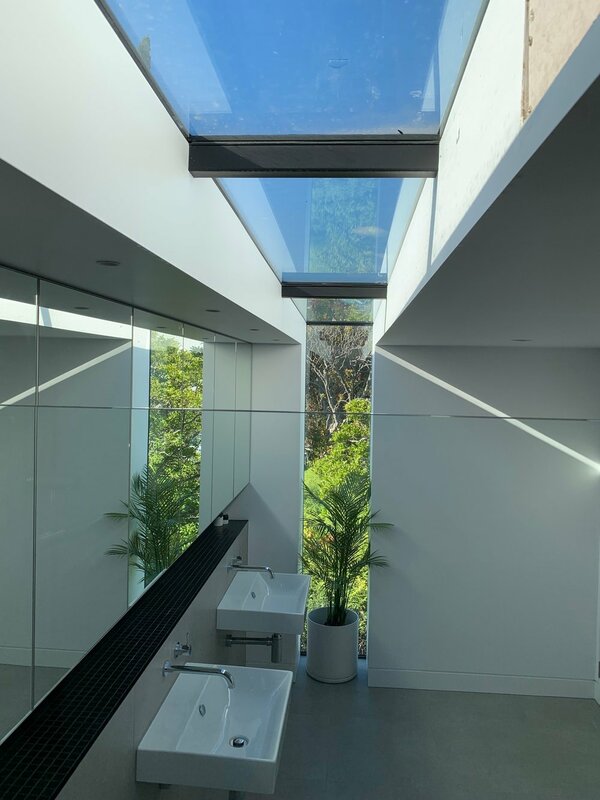 Sandy Bay Road — URBAN SPACES BUILDING CO.
An ultra modern, incredibly spacious ensuite extension, cantilevered over the games room of this classic 1950’s architectural family home in Sandy Bay. Featuring statement glazing stretching from floor level through to the full length of the ceiling; capturing maximum light and River Derwent views. 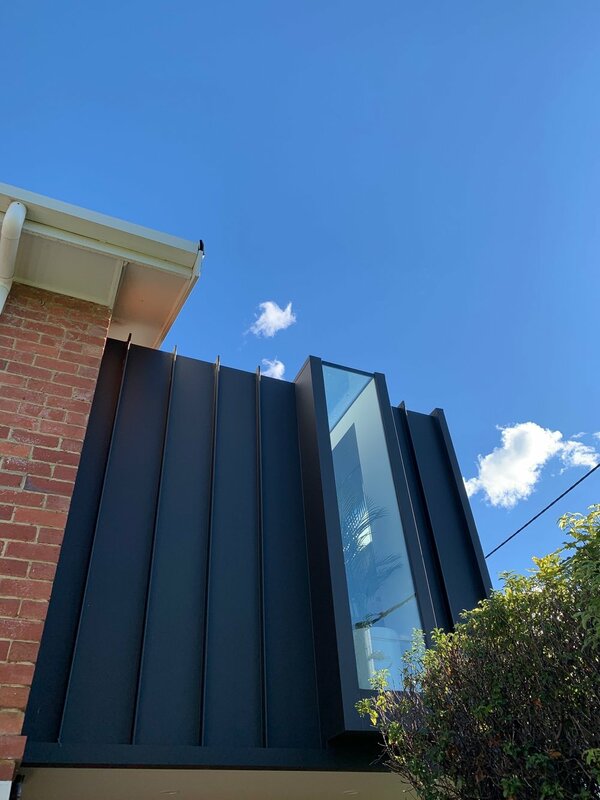 Clad in Stealth Matte Maxline 340, with guttering shifted to the base of the structure to further enhance the clean lines of this box-like addition.